This photo from Mount Columbia comes from Cronin’s 2016 piece on 14er maintenance. Cronin majored in Environmental Science and minors in Journalism and Spanish. 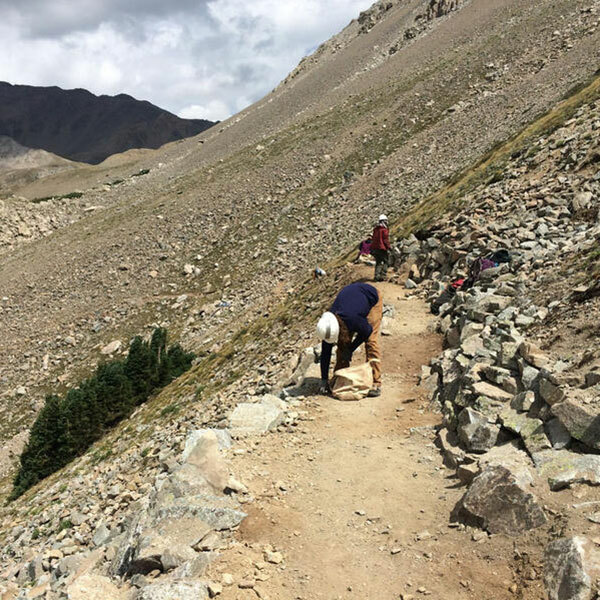 Her piece, “Creating and Maintaining Trails on Colorado’s Prized 14ers is a Tall Order,” was entered in the “Radio Feature” category of the regional contest, which consists of Colorado, New Mexico, Utah, and Wyoming. See the full list of winners in the Society of Professional Journalists’ Mark of Excellence Awards for Region 9.